Some companies have strict cell phone policies. Turning off your cell phone or stuffing your portable music device in your purse during work hours might not be your first choice. But it beats getting reprimanded -- or fired. Some companies have strict policies on electronics, while others allow employees to use their devices on a regular basis -- or at least during break times and lunch hours. Check your company handbook for the full details, and don't hesitate to ask your boss if you're not sure what constitutes a violation. You don't want a strike on your personnel file for downloading the latest pop song on company time. Follow company policies concerning company-provided electronics. 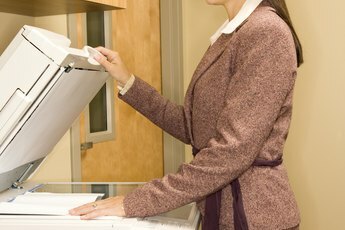 Some companies allow employees to use company computers, company cell phones, fax machines and other electronics for personal use -- others do not. A company has the right to inspect, monitor and review employer-provided electronic communications, including emails, Internet searches and other transfers of electronic information, according to the Gibson-Gruenert law firm. Employers might also monitor phone calls and text messages sent and received on company-owned cell phones and tablets. Even if your boss allows you to use your computer or cell phone for personal use, remember that she might be monitoring your calls and computer activity. Tread carefully if you use company or personal electronics to post messages or pictures on social networking sites. Defamatory comments about your employer, inappropriate photos and slanderous comments could land you a place in the unemployment line. Obey company policies regarding the personal use of electronics, including both privately owned and company-owned devices. Portable music players, cell phones, tablets and notebook computers are often a source of distraction in the workplace, keeping you and others from completing your job responsibilities. Wearing headphones might seem like a solution, but they might prevent you from hearing an important phone call or realizing that a co-worker is trying to get your attention. Unless you work in a noisy environment and your boss thinks headphones actually help with your job duties, avoid using them unless you're on break. 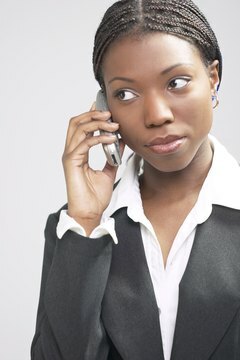 If your boss allows personal calls on the clock, keep them short so she doesn't think you are abusing the privilege. Avoid personal Internet searches, non-business test messages and personal calls during work hours. Some hospitals and laboratories have radio-sensitive equipment that can malfunction with cell phone use, so strict adherence to electronic policies in these circumstances is imperative. Beware of security risks if you use your personal electronic devices for work. Many companies encourage employees to purchase and maintain their own electronic devices, which are then used for work purposes. Even though this cuts back on an employer's work expenses, it increases the risk for security breaches. Employees forget to password-protect electronic devices that may contain proprietary corporate information or accidentally leave devices in plain view for others to see. According to Bloomberg Businessweek, 60 percent of companies participate in bring-your-own-device programs, increasing the need for safety features to protect corporate information, as of 2012. Some companies require employees to use antivirus software, prohibit them from downloading certain apps and give employees limited access to secret files on their personal electronic devices. This seems like a no-brainer, but it bears repeating: Never use employer-provided or personal electronics for inappropriate activity on the job. That includes illegal downloads of copyrighted content, such as books, songs and movies; illicit Internet searches; profane verbal or typed messages; slanderous comments; and cyber bullying. Employers have little tolerance for employees who participate in inappropriate electronic communications during work time. If your electronic activity consists of illegal communications, it will likely result in immediate termination. 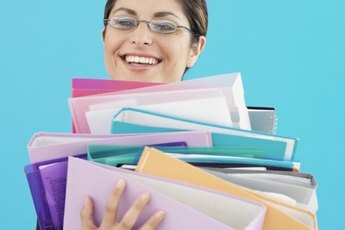 Can an Employer Deny a Copy of Your Employee File? Is It Legal for My Employer to Ban My Cell Phone From Work? Who Is Responsible for Workplace Safety? Can Your Employer Use Surveillance Outside of Work? What Action Can an Employee Take When Her Personnel File Is Violated? What Is the Meaning of Confidentiality in the Workplace?